The Sandusky boys basketball team was able to shake off a sluggish first quarter to rally for a 51-39 win over Brown City in GTC-East action played Friday night. 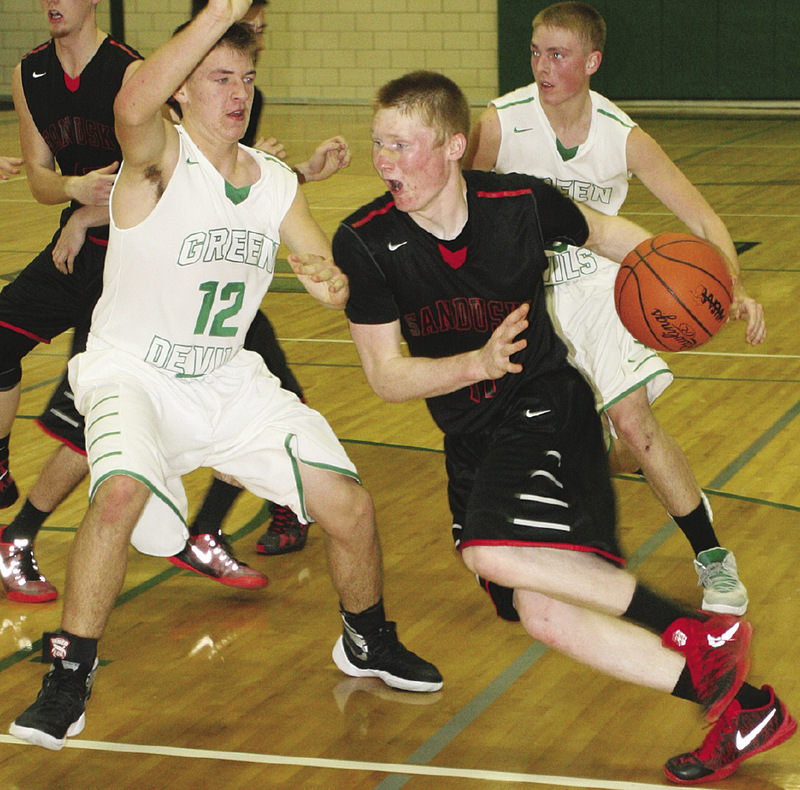 The Green Devils took a slim, low scoring 7-5 first quarter lead before three Sandusky players drained clutch three point shots, two in the closing seconds of the first half to put the ‘Skins in front 20-14 at the intermission. Senior guard Joe Stone connected on a triple from the top of the key to keep the Redskins close to the scrappy BC squad and then Brandon Potter and Justin Miller hit nothing but net with threes of their own to give the visitors some momentum heading in to halftime. Potter finished the first half with seven points to lead Sandusky. Sandusky cranked up their defense in the third quarter, holding BC to nine points while the potent ‘Skins offense rattled home 17 points. 13 of those came from Potter and senior Danny Hale. 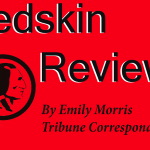 Miller took over in the final period, canning nine points and the Redskins were 6 of 7 from the free throw line as the ‘Skins pulled away from the Green Devils. Potter, who had four rebounds and four assists, paced the Sandusky scoring with 14 points. Miller chipped in with 12 points, Hale finished with 10, Josh Dekam (five rebounds) added seven and Stone banked in six. As a team, Sandusky made 15 field goals, three triples and went 12 of 14 from the charity stripe. Joe Hagner and Caleb Muxlow scored 10 apiece for Brown City. The Redskins return to action Friday night when they host Harbor Beach in a key GTC-East match up at the Mark S. Hund gymnasium. Following that, they host Bad Axe on Wednesday January 27th in a GTC crossover contest.